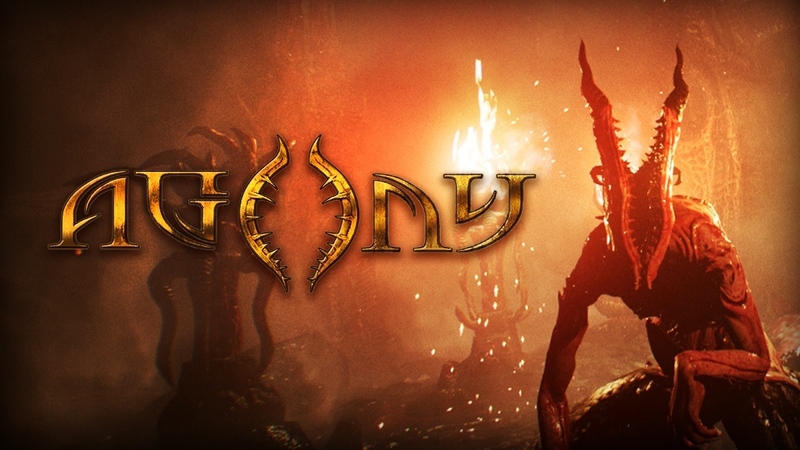 Madmind’s debut title Agony is currently on Kickstarter seeking funding to bring its nightmarish rendition of hell to life. While it’s already almost doubled its Kickstarter goal 13 days shy of ending, an assortment of stretchgoals are still within reach. I was lucky enough to check out Agony first-hand a few days ago (playthrough below), and my oh my is this game pretty. Well, pretty in the sense that its environments are a thing of biblical nightmares. Agony falls into a similar category of stealth horror games as Amnesia and Alien: Isolation: powerful monsters prowl environments and the player is too helpless but to sneak by and hide when necessary. The game’s biggest strength, even pre-alpha, is its visuals; Agony is a sight to behold. Rooms are molded by and caked with viscera, from the corpses of countless damned souls. The demo was not short of putrid effigies made from bones and unknown (but visibly fleshy) materials. High-quality lighting and post processing effects really add depth to the game’s visuals as well, reminding you that the world in which you inhabit is a cursed inferno. The small serving of hell we’re shown already makes the game a contender for the best artistic depiction of hell in videogames ever. AI-pathing could use a little work, because some demons linger too long around hiding spaces, but I imagine that will be tweaked by the time the game is ready to ship. A possession mechanic could also introduce some interesting breaks from the slow-paced stealth segments with scenes of pure carnage — but I hope there’s a healthy balance in order to keep the game primarily dread-inducing. I took a bunch of screenshots of the game in 4K at max settings (minus aberration), and figured I’d share them with you given my video playthrough couldn’t truly capture the attention to detail and effects present in Agony. Hopefully they give you an idea of just what the game has to offer when it releases Q2 2017.